A healthier and tastier way to enjoy your favorite meat dishes. 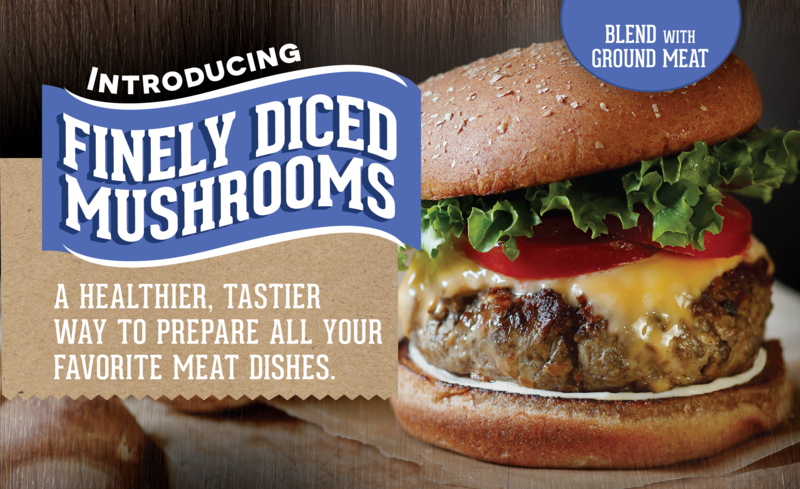 What are Finely Diced Mushrooms? Our finely diced mushrooms have been pre-chopped, cooked and if desired, pre-seasoned, to make your cooking experience that much easier. Finely diced mushrooms blend well with ground beef, chicken, lamb, pork and turkey. 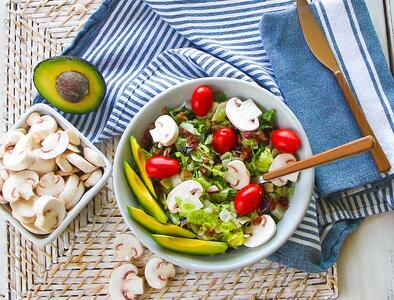 Use these pre-chopped mushrooms to enhance or substitute meat for burgers, chile, meatloaf, sloppy joes, meatball, pasta sauce, tacos burritos, enchiladas, casseroles and soups! 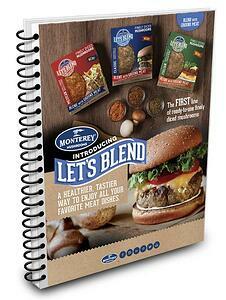 Available in a "Classic" steak or burger-like seasoning or no seasonings added. Heatlhier options: when used in traditional meat dishes, reduces amount of calories, fat and cholesterol. 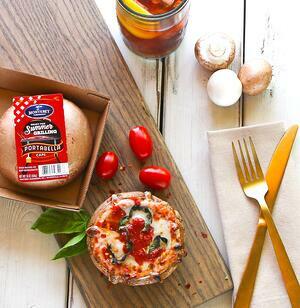 Time-saving: pre-chopped and seasoned mushrooms are ready to blend with meat. © 2018 Monterey Mushrooms, Inc. All rights reserved.